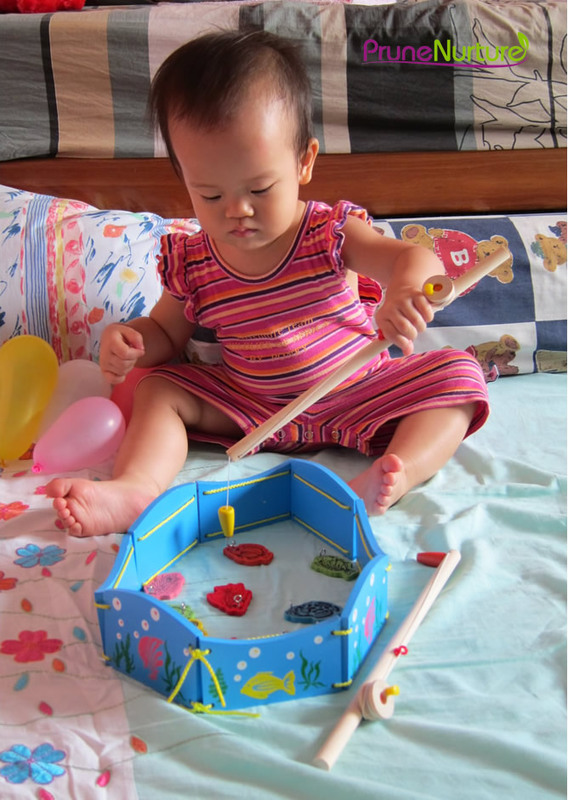 Dot enjoys fishing these little wooden fish. She learns to group similar colored fish by fishing them one after another. To help her to understand the significance of numbers, I will always read out the number of fish she caught. Fishing requires focus and hand-eye co-ordination to get the fish on the magnetic hook. Her face always beams with joy when she finishes her catch – to her is a great achievement – and sometimes she celebrates with a little dance!